Pleasant scented natural d'limonene solvent emulsion cleaner is safe for virtually all washable surfaces and fabrics. Use to clean and degrease metal surfaces including aluminum, and to pre-spot fabric and carpets. 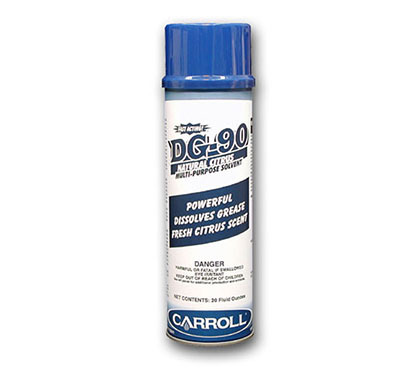 Quickly dissolves grease, oils, food soils, rubber marks, adhesives, inks, and other water-insoluble soils. Twelve cans per case.